The Levy et al article1 on adolescent physicians' knowledge of the practices of screening for drug abuse is timely. We have long felt that practicing physicians' knowledge of drug testing has not recognized the technical and ethical issues involved.2 In our experience, clinical testing for drug abuse does not follow the policies and procedures outlined for federal workplace testing. In fact, most hospital laboratories do not have established policies for validation of specimens and many do not have the ability to perform confirmatory testing, which in federal testing requires gas chromatography/mass spectroscopy. We disagree with the blanket statement of Levy et al that urine drug screenings do not detect oxycodone and ecstasy (3,4-methylenedioxymethamphetamine). The ability to detect these substances depends on the cross-reactivity of the particular immunoassay used. The technology for immunoassays is continually evolving and many of the currently used assays do, in fact, detect these substances. 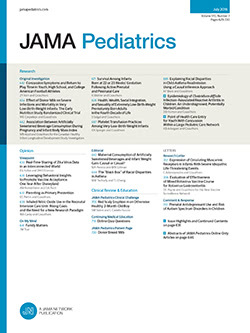 Physicians who order drug screens can review the package inserts provided to the laboratory by the manufacturer of the immunoassay to determine the sensitivity of the assay for detecting oxycodone, ecstasy, and other specific substances.3 Another important question, which the authors did not address, is whether the physicians obtain informed consent before performing laboratory screening for drug abuse.